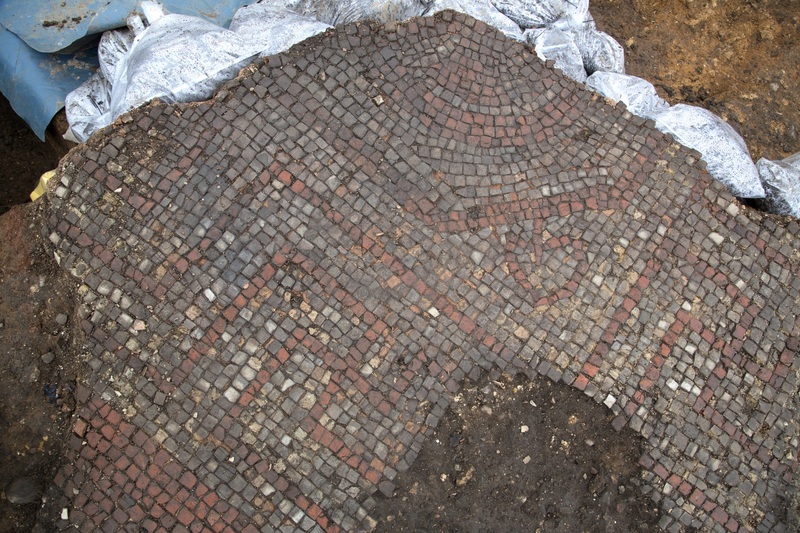 Archaeologists from the University of Leicester Archaeological Services (ULAS) have discovered a large Roman mosaic pavement at a construction site in Leicester. 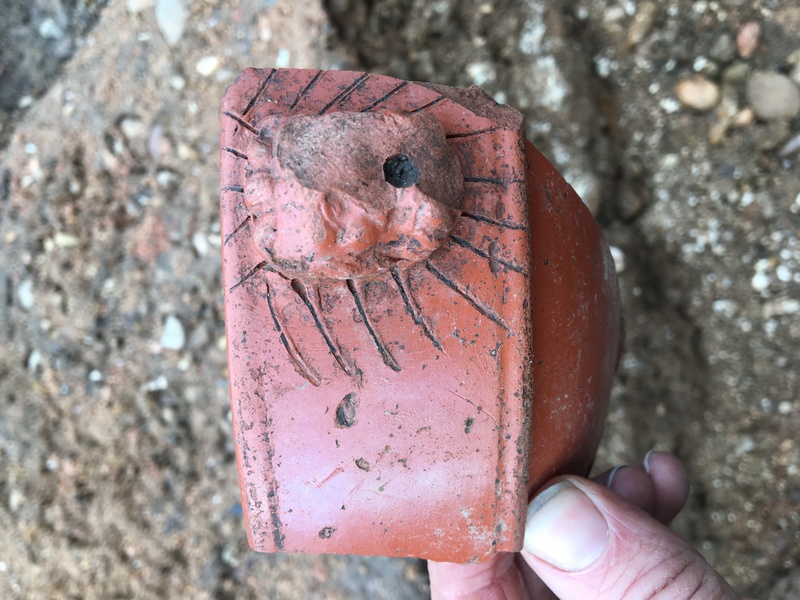 The property on the corner of Highcross Street and Vaughan Way has been excavated since November and already archaeologists have unearthed the remains of a Roman street, two other buildings and an elegant villa with mosaic floors. Highcross Street today runs along the path of the Roman road that went from the Roman forum to the north gate of the city. 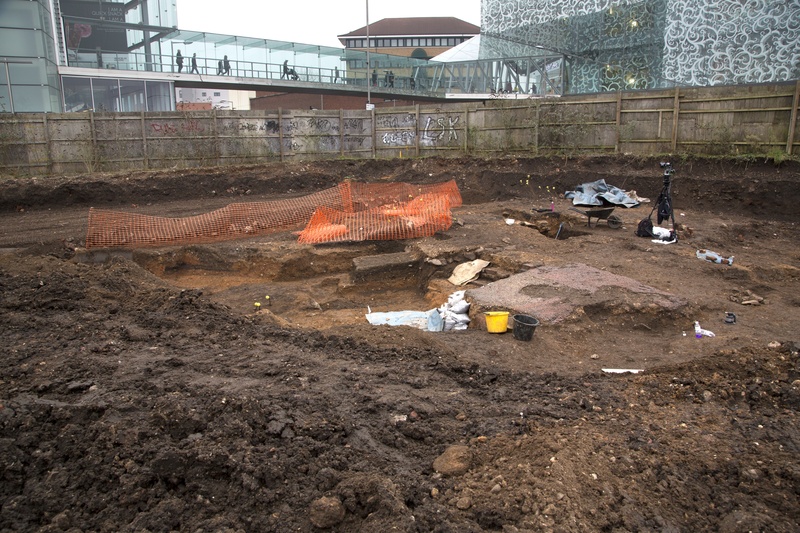 The excavation site covers almost two-thirds of a Roman insula, or city block, which gives archaeologists an incredibly rare view into a cross-section of Roman Leicester. The Roman house with the mosaic was unearthed on the east side of the site next to the John Lewis parking lot. At least three of its rooms had mosaic floors. One of them has a particularly large extant section about two meters (6.6 feet) by three meters (9.8 feet) in size. Archaeologists estimate this surviving section is about a quarter of the size of the original mosaic. 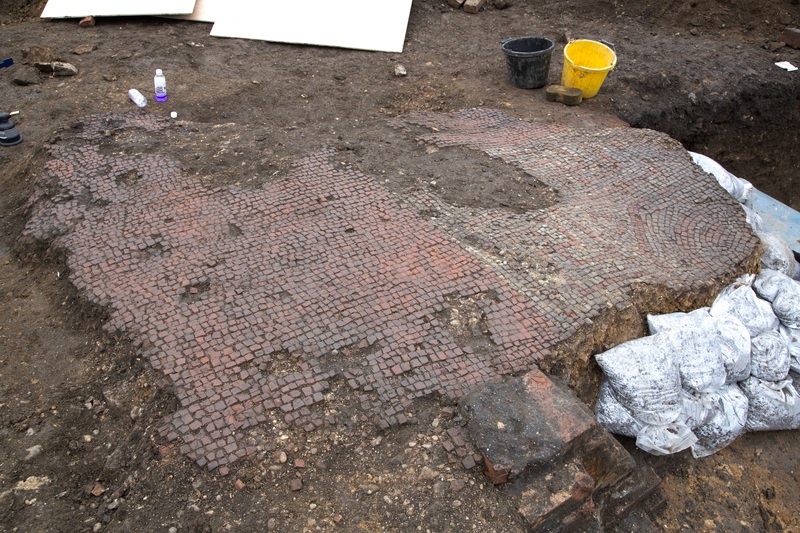 It is the largest Roman mosaic pavement found in Leicester in last 30 years. 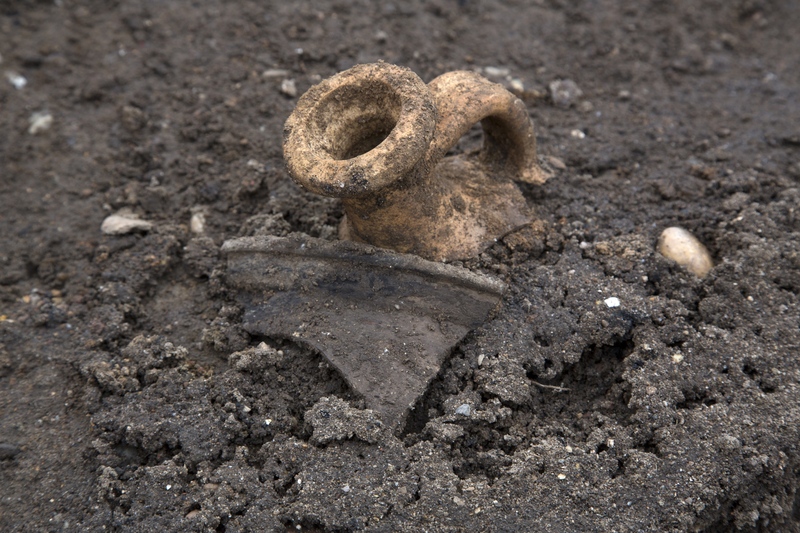 Another large Roman dwelling was found on the western side of the site. It has two sets of rooms along a corridor with a central courtyard. There are no mosaic floors, but there is a hypocaust system in one of the rooms which means heated flooring or a private bathing facility. This was likely a townhouse, and indeed a very similar townhouse was discovered on nearby Vine Street underneath the John Lewis lot in 2006. 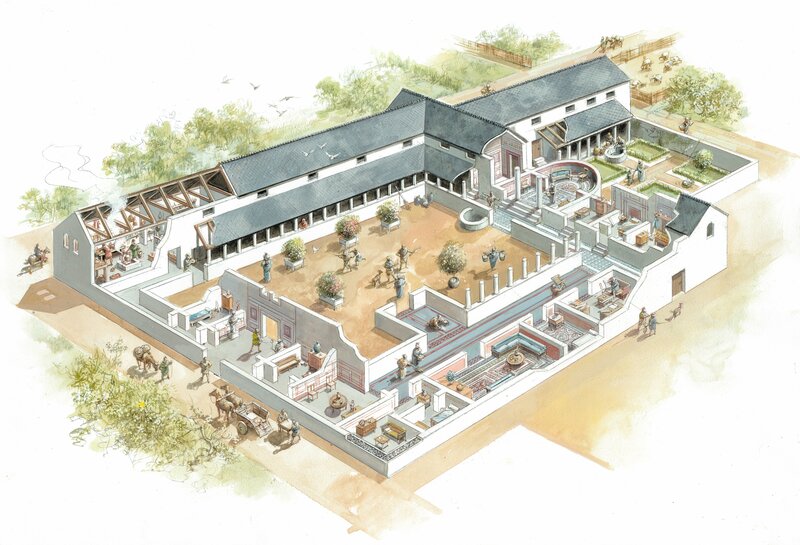 The third Roman building is smaller. It was found in the center of the site and has a peculiar feature: a large sunken room, possibly a cellar. There may be an apse on one side of the sunken room. Archaeologists don’t know what this building was used for or what the purpose of the sunken room may have been. They are a rare feature in Roman architecture. Developers plan to build apartments on the property, but they are working with ULAS to determine how to construct the new building without destroying ny significant archaeological materials underneath the surface. They’ve removed rubble and soil accumulated from the Victorian era to now to reveal where the Roman and medieval remains are. Archaeologists and architects will collaborate on the ideal placement of the foundations of the new building to ensure remains are either left unmolested in situ or excavated and raised before construction. Most of the archaeology will remain in place under the new building. 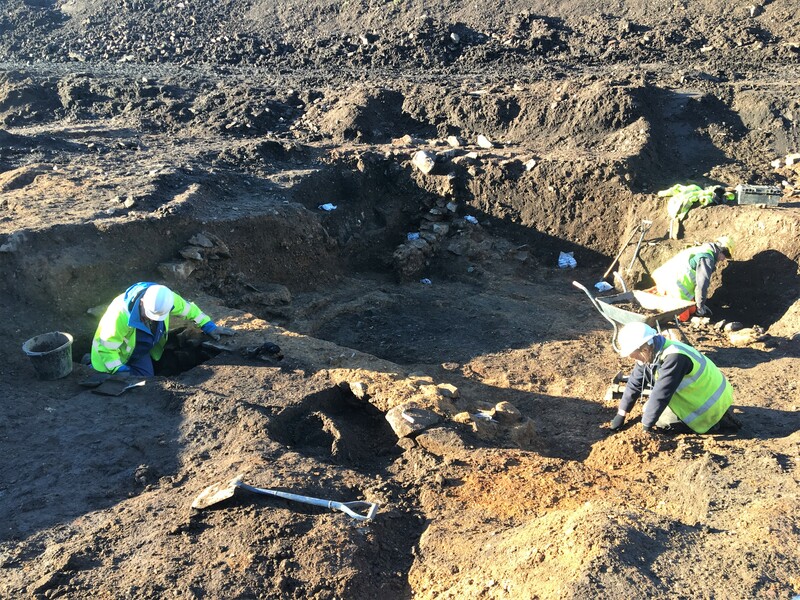 The excavation is scheduled to continue through at least February. No medieval structures have been unearthed thus far, but in the 12th century Leicester’s first hospital, St Johns’ Hospital, was founded on the site. The medieval town goal was also there, so archaeologists are hoping to find at least some evidence of these important buildings.